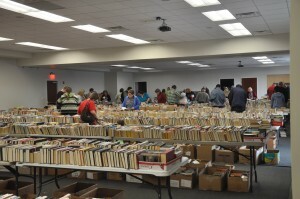 The Southern Kentucky Book Fest held its used book sale this past weekend. 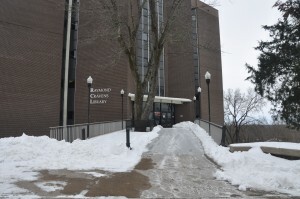 The event was delayed a day due to winter storm weather that kept the parking lots and roads snow covered on the original starting date Friday, March 6. 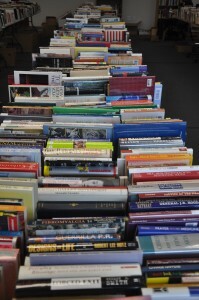 The cold, snowy weather didn’t keep out the crowds as they eagerly sought out their favorite authors and books on Saturday and Sunday with the discount book day on Monday. 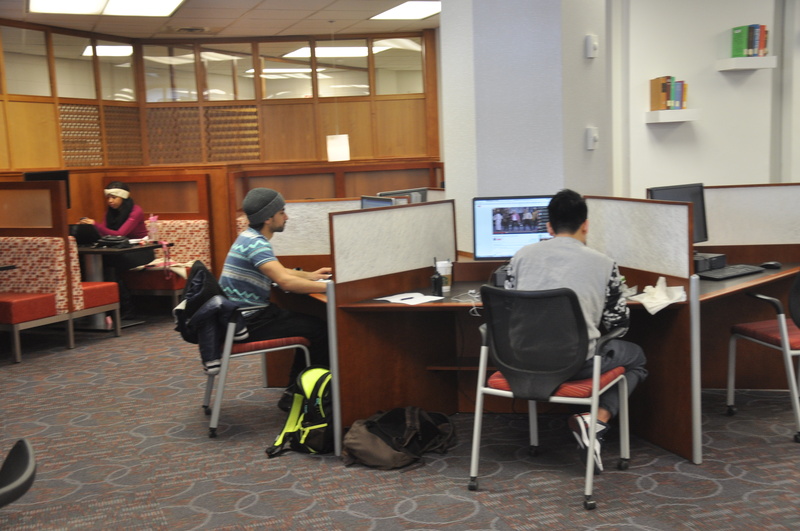 In an effort to allow students a study outlet, Cravens Library opened on Thursday, February 19 and Friday, February 20 from 10am-4pm. All classes were cancelled for the week; however, Cravens was open for business. Dean Connie Foster offered the students and staff donuts for breakfast and pizza for lunch while they worked at the Libraries. The Margie Helm Award winners were recognized at the end of December at the Gondolier during the Libraries holiday luncheon. Winners included: John Gottfried, Faculty Award; Amanda Hardin, Staff Award; Sarah Zibart and Katie DeCoursey,Student Award for Library Public Services; Lyndsey Pender, Student Award for Library Special Collections;Kelli Storm, Student Award for Library Technical Services; and Faraway Flix won the Team Award including committee members Shaden Melky (Chair), Uma Doraiswamy, Lisa Miller, Jack Montgomery, Tony Pagnelli, and Jennifer Wilson. 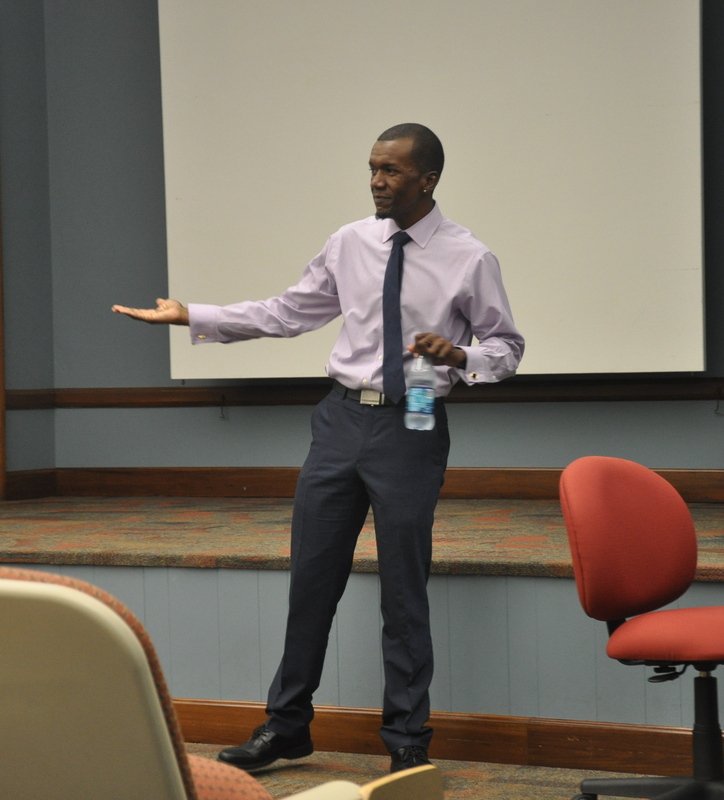 Approximately 80 faculty, staff, and students attended. 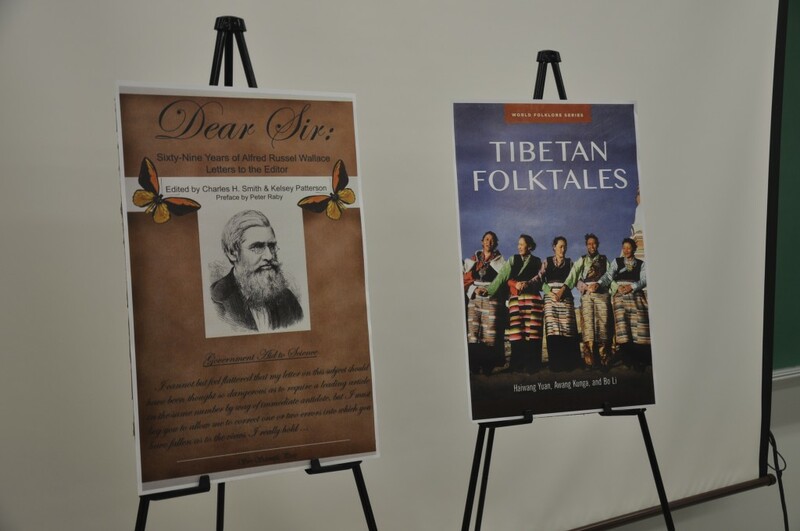 The Department of Library Public Services hosted a reception honoring Library Professors Haiwang Yuan and Charles Smith with recently published books. Yuan’s book, Tibetan Folktales, was published in November 2014 by Libraries Unlimited, an imprint of ABC-CLIO,LLC. 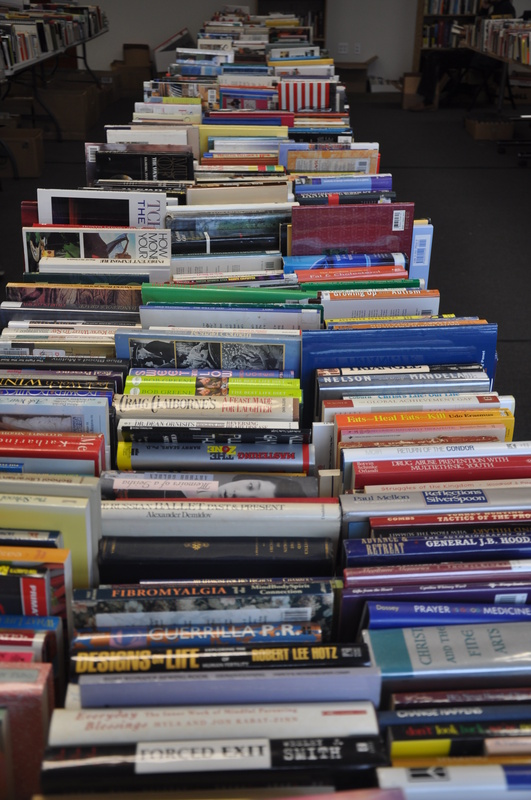 The collection of folktales provides readers with an extensive overview of the breadth of Tibetan culture, revealing the character of the region and its people as well as their traditional customs and values. Haiwang Yuan is professor of Library Public Services at Western Kentucky University, Bowling Green, KY. His published works include The Magic Lotus Lantern and Other Tales of the Han Chinese and Princess Peacock: Tales from the Other Peoples of China, both Libraries Unlimited titles, as well as This Is China: the First 5,000 Years and Celebrate Chinese New Year. 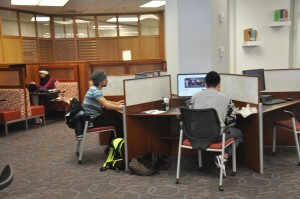 Yuan holds master’s degrees in history as well as library and information science from Indiana University at Bloomington, IN. Smith’s book, Dear Sir: Sixty-Nine Years of Alfred Russel Wallace Letters to the Editor, was recently released from Siri Scientific Press, featuring Alfred Russel Wallace, a contemporary of Charles Darwin and known in many circles as the “father” of evolutionary biogeography, and more than 200 of Wallace’s published works. Charles H. Smith, Ph.D., has been studying Wallace’s work for more than thirty years, and has several other books on him to his credit; he also maintains ever expanding research on his website, The Alfred Russel Wallace Page at Western Kentucky University, Bowling Green, where he is the Library Faculty for Science and Professor of Library Public Services. WKU Libraries hosted the Evelyn Thurman Young Readers Book Award luncheon last Friday, November 21. 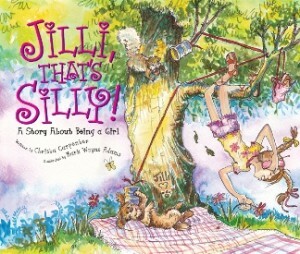 Author Christa Carpenter and Illustrator Mark Wayne Adams were the recipients of the award for the book Jilli, That’s Silly! Friends, Library Council members, staff, faculty, and family attended the luncheon which is given annually to recognize an author and illustrator for their work in children’s literature with a Kentucky connection. More than forty people attended the luncheon with a special program featuring WKU Libraries faculty member Lisa Miller who recently did extensive research on Evelyn Thurman, former librarian and donor for the program, and Galen Currington, the man who purchased Evelyn’s Volkswagon bug which was on display at the entrance to the building. On the days leading up to the luncheon, Adams and Carpenter went to several schools offering author/illustrator visits. 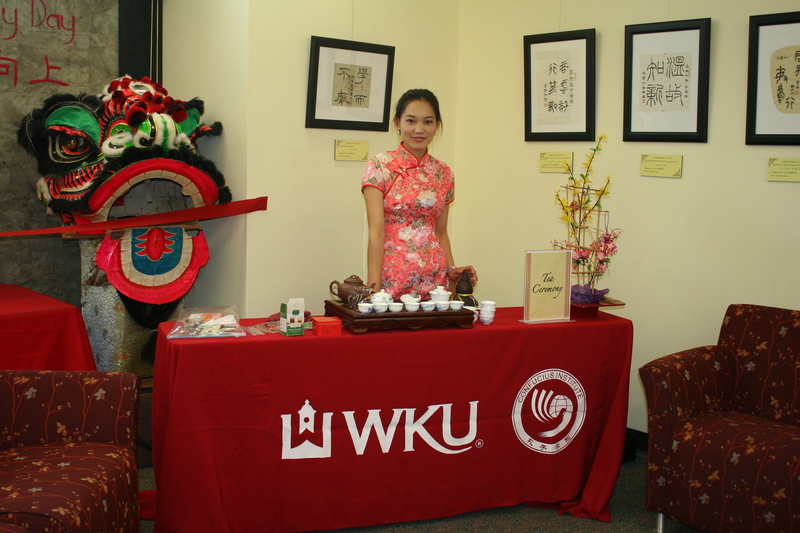 WKU Libraries teams up with Confucius Institute to offer a Homecoming Reception. WKU Libraries partnered with the Confucius Institute and offered a Homecoming Reception Saturday morning in Helm Library, Room 100. Faculty, staff, students, and alumni visited the event in the morning from 10 to 11:30 am. There were opportunities to participate in a tea ceremony, try calligraphy, view Tai Chi demonstrations, and listen to the Chinese Music Club as well as enjoy the American and Chinese reception food. Comments Off on WKU Libraries teams up with Confucius Institute to offer a Homecoming Reception. 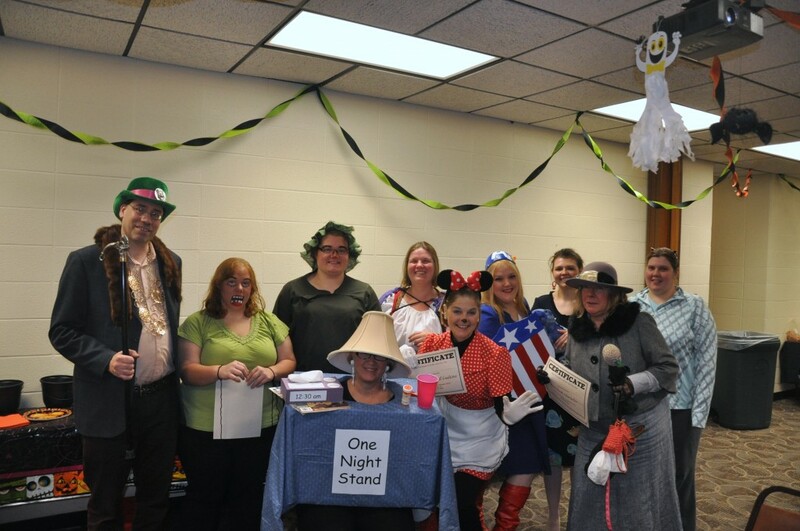 Author Jason Mott participated in 2014 SOKY Reads! SOKY Reads! 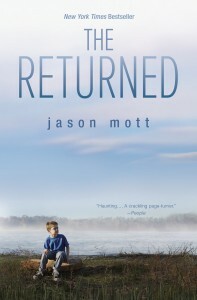 proved extremely successful last week as numerous community members and students visited with Jason Mott, author of this year’s featured book The Returned. 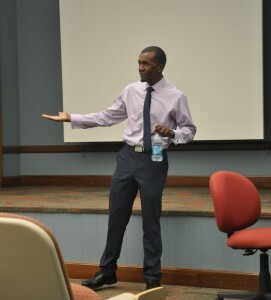 Mott attended David Bell’s creative writing class and talked about his book, getting published, and what it takes to be a successful writer. 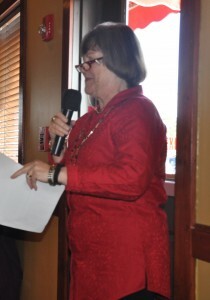 He also offered to sign books and addressed a large crowd at the Bob Kirby Library, and participated in two separate luncheons, answering questions from members of three different book clubs. 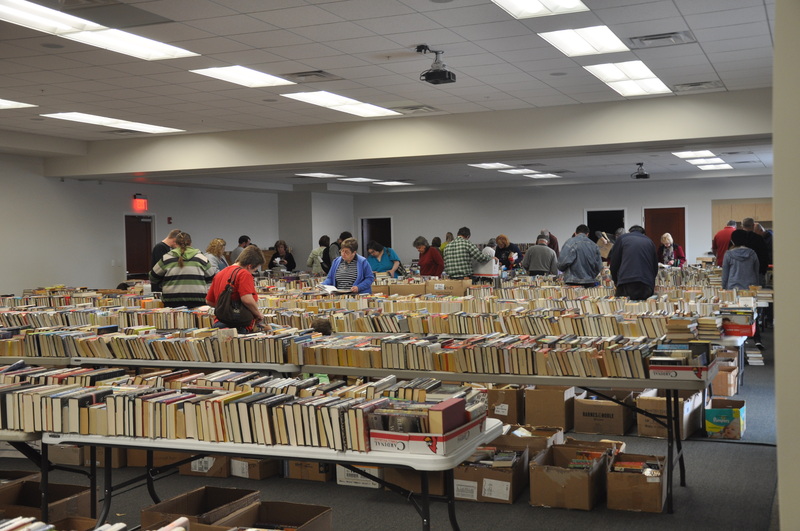 This year, SOKY Book Fest partners gave out 500 books of The Returned and offered book discussions at various community locations, including the public library branches, at Western Kentucky University, and at Southcentral Kentucky Community & Technical College. 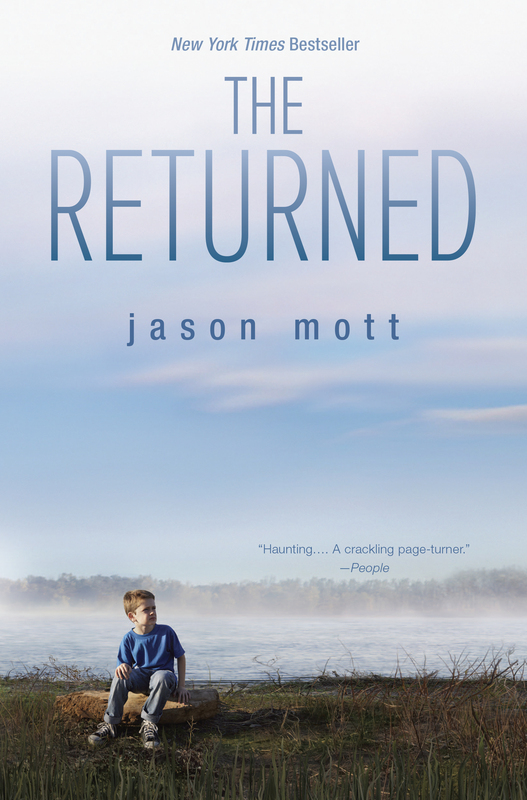 Comments Off on Author Jason Mott participated in 2014 SOKY Reads! WKU Libraries hosted a reception and book signing for author and retired library professor Nancy Disher Baird on Sunday, October 12 in the afternoon in the Kentucky Building. Housed in WKU’s Manuscripts & Folklife Archives, the second of Josie Underwood’s diaries was recently published in the Register of the Kentucky Historical Society (vol. 112, no. 3). Baird spoke of Underwood’s experiences and travels in and around Scotland, taken from the diary. Baird, a former special collections faculty member and local historican, shared keen observations from the diary to the audience of more than forty regarding Civil War times from a young female civilian’s perspective. When we think of the Civil War, we read about military strategy and movement; however, this diary goes beyond the troops. “Most studies of war concentrate on the military and its heroes. But what about the trauma experienced by civilians left at home—especially in an area occupied by the military,” said Nancy Baird, editor of both diaries. 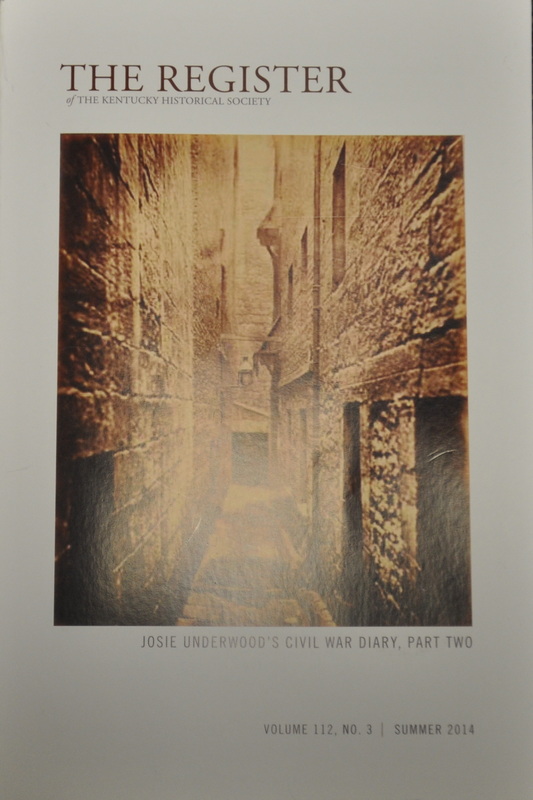 “Josie Underwood’s diary concentrates on the Kentucky home front during the Civil War; most southern states experienced similar problems.” For additional information on the latest diary, email the Register staff at KHSpublications@ky.gov.